THE first time I heard about Sibuyan Island was from my father. During World War II, as the Japanese military forces spread to the Visayan region, my father’s family left home in Capiz and took refuge on the island, in the province of Romblon. If you look at the map, it’s easy to see why. Sibuyan’s relative isolation it is one of the three major islands that make up Romblon—made it an ideal sanctuary from the vagaries of war. And while there has been intermittent commercial air service between Manila and Tablas (the larger of the province’s islands), travel to Sibuyan has mainly been via ferry or pumpboat. Many of these flora and fauna can be found deep in the forests of Sibuyan and are now endangered because of previous DENR policies that allowed the cutting of trees as well as commercial mining operations. Despite the fervent opposition of the local government, the Catholic Church, and Sibuyan residents to mining, the island was not included in President Aquino’s Executive Order on mining, which listed 78 protected zones (only Romblon island was categorized a “no-go” zone). Every December, the main municipality of San Fernando celebrates the Feast Day of the Immaculate Conception (December 8) through the Pag-alad Festival, with costume and float parades, and street dancing. It’s best to visit Sibuyan during the dry months, although sea transports still operate during the monsoon season. Just be prepared for a rough and tumble ride. 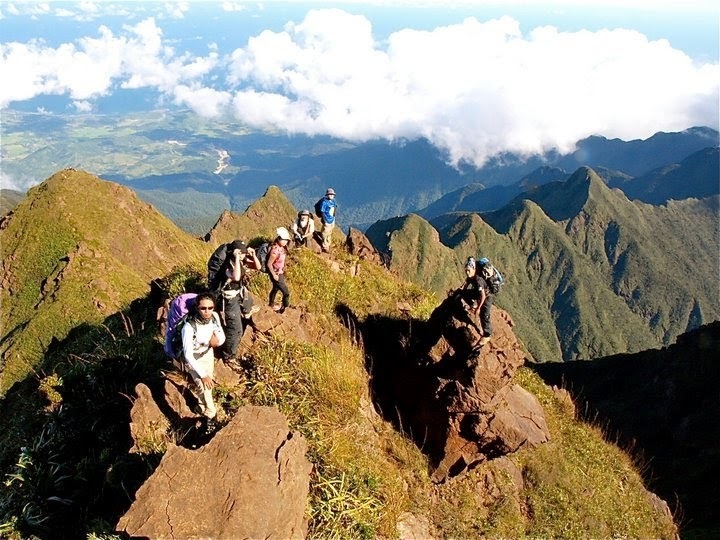 Mount Guiting-Guiting is a favorite of mountaineers because of the tremendous challenges in climbing it. It is a series of jagged peaks—hence, the name guiting-guiting in the vernacular—so expect terrain pitches up to angles of 90 degrees. It was declared a national park in 1996; but the unfettered encroachment of upland settlers who live off the mountain has resulted in some areas of balding due to slash-and-burn farming. Still, it makes for a great hike in the lower regions of the mountain. Those who intend to climb to the summit need to secure a permit and a local guide at the DENR Substation in Barangay Tampayan, in the town of Magdiwang. (For inquiries, contact: Hurley Salig, provincial environment officer of Odiongan, Romblon at (042)567-5030; or 0917-8831125). Swim with the fish and shrimps in the Cantingas River, declared as the “cleanest inland body of water in the Philippines,” and the second-cleanest river in the world. The river has carved its own path amid a lush, fertile valley, which visitors can view in its entirety by climbing a viewing platform, or taking a zip-line ride hosted by the Cantingas River Resort in San Fernando. Thrillseekers can also jump off specific ledges and dive into the cool waters of the river. (Contact: Aniceto Aganan, 0906-1617708). 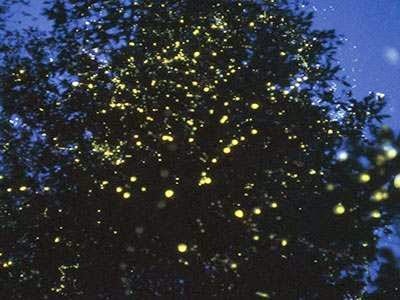 Take a cruise at dusk along the Magdiwang River to watch fireflies! These winged beetles try to attract their mates or prey with their luminous bellies and are seen usually flitting about mangrove trees making the latter look like lit-up Christmas trees! After the one-hour cruise, you can have dinner at the river’s Floating Restaurant. There is also a fish sanctuary nearby which can be visited earlier, if you’re into snorkeling. (Contact: Teroy Rivero at 0919-802907). One shouldn’t miss the Cresta de Gallo Island, a relatively uninhabited islet 45 minutes away by outrigger pumpboat from Barangay Azagra in San Fernando. Although there are no resorts and other tourist facilities on the islet, it is getting popular because of its powdery white-sand beach, and an incredible swimming/snorkeling experience in its clear turquoise waters. Aside from multicolored fish, there are reported sightings of stingrays, turtles, even dolphins! A family that takes care of the islet is a useful source of information and can be approached to catch fresh fish for meals. An overnight stay is recommended just to max out your visit, but you have to bring all your camping essentials, as well as food and water. An old 17th-centrury chapel dedicated to the Virgin Mary of Candeleria can also be found in Azagra. Its stone façade and exteriors have been preserved but its interiors are modern. You can also visit Lamao Lake, a 7-hectare natural lake in the barangay and walk to its hills where a solar-powered lighthouse looks out to the sea. Wait for the sun to set and be amazed. Needless to say, fresh seafood abound on Sibuyan Island so you can have a veritable array of choices from among the small carinderias, local resort restaurants and in the stalls in the public market. Due to the rising number of tourists on the island, a few restaurants serving pizzas and pastas have also cropped up in San Fernando. Popular local delicacies include kinilaw, dried fish like the bulad, as well as spicy ginamos, the local version of the bagoong. If you want to wake up amid lush surroundings with a view of the mighty Mount Guiting-Guiting, you may want to check out Sanctuary Garden Resort (http://sanctuarygardenresort.com/index.html) in Barangay Tampayan, Magdiwang. The accommodations are patterned after native huts and built of wood materials, with air-conditioned rooms for couples and groups. It offers local guided tours, free maps to nearby points of interest, as well as transportation for rent to go around the island (bikes, motorbikes, Jeepneys). For clean and safe budget accommodations, go to Seabreeze Inn in San Fernando. The place is fairly well known among the locals so any tricycle can take you there. Its bamboo huts have verandas, which face the sea. Travelers with a reasonable amount of an adventurous streak will probably forget the slight amount of pain in getting to Sibuyan Island as soon as they sink into the breathtaking scenery. From Manila, take a flight to Roxas City via PAL Express or Cebu Pacific, and then go to Culasi Port for a four- to six-hour pumpboat ride to Sibuyan Island. For more on Sibuyan tourism, check out the Sibuyan Island Sentinels League for the Environment Inc. (http://www.sibuyan.com/tourism.html), which runs independent tours around the island.